The Internal Revenue code authorizes the IRS to compromise a tax liability, and accept less than the scheduled amount they are owed. The first step would be to download the Offer in Compromise Booklet, Form 656B, located on the IRS website. This Booklet contains step-by-step instructions as well as the requisite forms. There are separate OIC forms for individuals and businesses. There is an application fee as well as a requisite initial payment that must be submitted with each OIC. There are two instances where the IRS would accept an OIC, (1) the IRS believes it cannot collect the full amount owed by the taxpayer, or (2) the IRS doubts the legality of the tax owed by the taxpayer. The second scenario will not be applicable if the tax liability has already been adjudicated by a court and the adjudication is final. The IRS is not required to automatically suspend any collection activity simply because the taxpayer has filed an OIC. This is especially true if the IRS determines that the OIC has been filed as a delay tactic to stave off collection efforts. If the taxpayer and IRS had an installment payment agreement already in place, the taxpayer should continue to honor that agreement until the IRS indicates otherwise. All OICs that are accepted by the IRS will be made available for review by the general public. Therefore, the taxpayer should be aware that the details of the taxpayer's personal financial affairs may become publicly known if an OIC is reached. If the debtor already has an OIC in place with the IRS prior to filing for bankruptcy, it may be characterized as an executory contract. Executory contracts must be assumed or rejected pursuant to 11 U.S.C. §365. In a chapter 7, if the Trustee doesn’t assume or reject the contract within 60 days from filing the petition, the contract is deemed rejected. See, 11 U.S.C. §365(d)(1). In a chapter 11, the debtor or trustee has to assume the contract prior to confirmation of the plan. See, 11 U.S.C. §365(d)(2). What if the taxpayer-debtor wants to negotiate an OIC after the bankruptcy case has been initiated? The IRS has an internal policy of not considering OIC from any taxpayer in bankruptcy. There does exist case law in other jurisdictions that allow the bankruptcy court to order that the IRS review the taxpayer-debtor for an OIC. See, In re Peterson, 317 B.R. 532 (Bankr.D.Neb. 2004) (where the bankruptcy court held that the IRS’ internal policy refusing to consider a debtor’s OIC was discriminatory with regard to individuals in bankruptcy thus warranting issuance of an order directing the IRS to process and consider the debtor’s OIC in the same manner as it treated submissions by taxpayers outside of bankruptcy); see also, In re Macher, 303 B.R. 798 (W.D. Va. 2003). 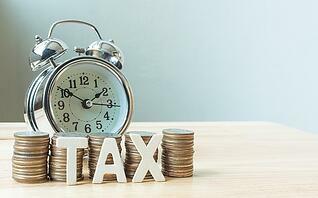 If you have tax liabilities, a bankruptcy may be able to help. Finding a competent bankruptcy attorney is crucial. It is important to choose an attorney that you are comfortable with and whom understands both the Bankruptcy Code and Internal Revenue Code. If you are seeking representation, please give us a call for a free bankruptcy consultation. We have office locations in Wayne, Hoboken, Newark, and Hackensack.